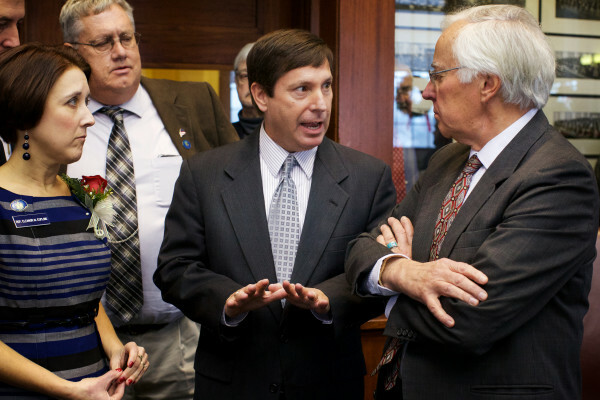 House Minority Leader Ken Fredette, R-Newport, (second from right) speaks with Rep. John Martin, D-Eagle Lake, (right) about balloting particulars while the House wrangles over electing a Speaker Wednesday morning at the State House in Augusta. Assistant Minority Leader Ellie Espling, R-New Gloucester, (from left) and Rep. Jeff Timberlake, R-Turner listen. 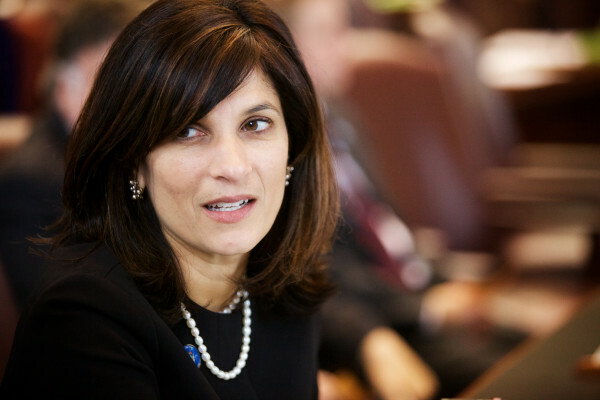 House Assistant Minority Leader Sara Gideon, D-Freeport, speaks after being sworn in Augusta on Wednesday. House Majority Leader Jeff McCabe, D-Skowhegan, speaks after being sworn into the 127th Legislature in Augusta on Wednesday. Senate Assistant Minority Leader Dawn Hill, D-Cape Neddick, claps at the State House in Augusta on Wednesday. Senate Minority Leader Justin Alfond, D-Portland, speaks at the State House in Augusta on Wednesday. Senate Majority Leader Garrett Mason, R-Lisbon, speaks Wednesday morning in Augusta. Senate Assistant Majority Leader Andre Cushing, R-Hampden, attends to business Wednesday morning in Augusta. 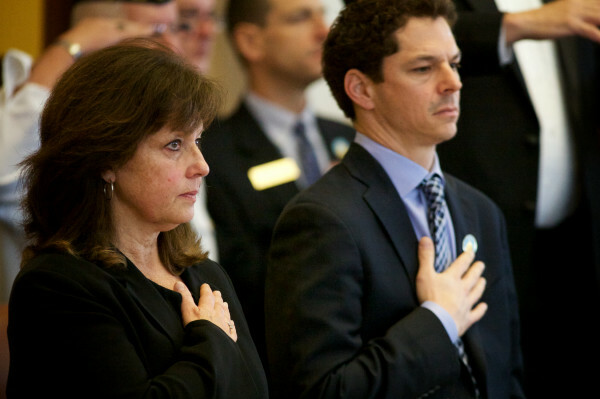 Assistant Minority Leader Dawn Hill, D-Cape Neddick, and Minority Leader Justin Alfond, D-Portland, stand for the Pledge of Allegiance Wednesday morning at the Senate in Augusta. Gov. Paul LePage strides from the House in Augusta Wednesday morning after swearing in its members. Sen. Bill Diamond, D-Windham, (left) and Sen. Stan Gerzofsky, D-Brunswick, are sworn in to the 127th Legislature Wednesday morning in Augusta. 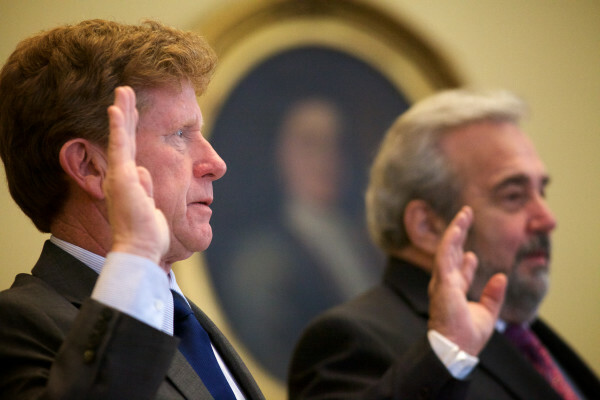 AUGUSTA, Maine — The 127th Maine Legislature officially began Wednesday after Gov. Paul LePage administered the oath of office to 186 new and returning lawmakers in the House and Senate. 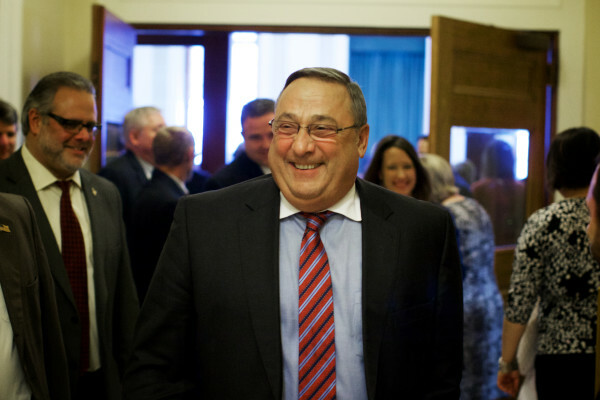 LePage’s comments in both chambers were brief. Presiding officers of both bodies were largely determined before Wednesday’s formalities, with the Democratic and Republican caucuses having chosen their leaders during votes held between Election Day, Nov. 4, and Wednesday’s swearing-in ceremony. After a lengthy delay caused by disputes between Democrats and Republicans on how balloting should be conducted, the House elected Rep. Mark Eves, D-North Berwick, to his second two-year term as House speaker. Republicans initially nominated Rep. Ken Fredette, R-Newport, but after a four-hour delay caused wrangling over the ballots, Fredette withdrew his name and the House elected Eves. As was the case in the previous Legislature, Fredette will serve as House minority leader. Several House members complained about partisan maneuvering on a day that was meant to be ceremonial and designed for dozens of lawmakers’ friends and family members who packed the House chamber. Evangelos and others said Wednesday’s events cast a cloud over the possibility that the parties will collaborate over the next six months. Eves said during his acceptance speech that creating jobs will top his agenda. 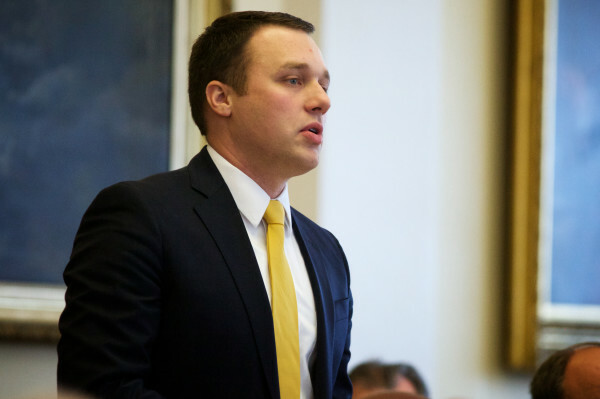 Eves also drew attention to the plight of older adults in Maine, an issue he worked on throughout the 126th Legislature. 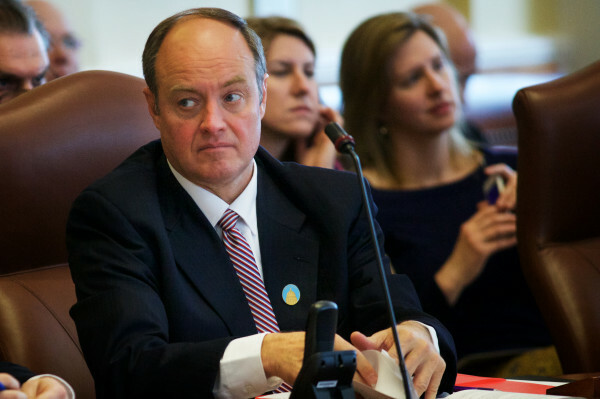 In the Senate, the new GOP majority elected Sen. Mike Thibodeau, R-Winterport, as Senate president. 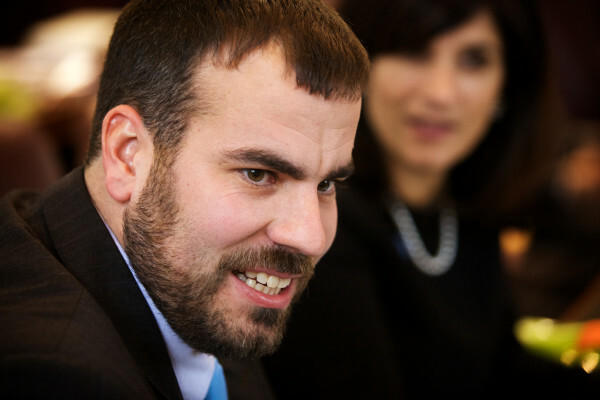 Thibodeau had served as minority leader for the past two years. Republican Sens. Garrett Mason of Lisbon Falls and Andre Cushing of Hampden were officially named majority leader and assistant majority leader. Thibodeau called for cordial bipartisanship in the new session, saying the will of the electorate was clear after voters restored a GOP majority in the Senate but kept Democrats in control of the House. While he called for civility and cooperation, Thibodeau made clear that his agenda will be vastly different from his Democratic predecessors. 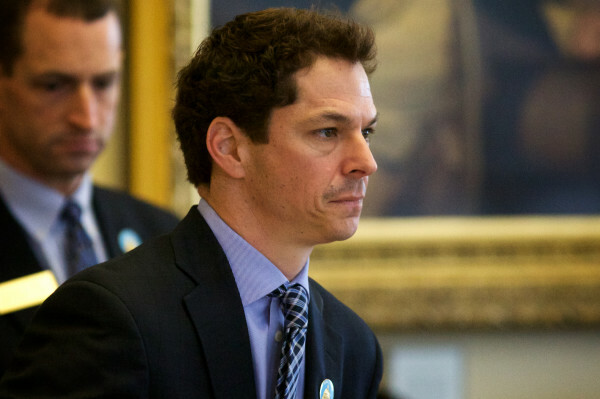 Outgoing Senate President Justin Alfond of Portland will now serve as minority leader. Democratic Sen. 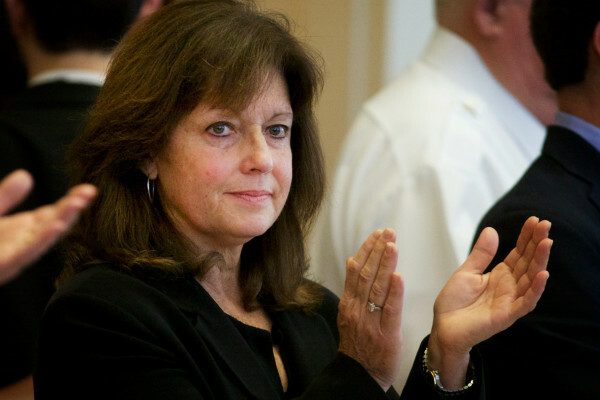 Dawn Hill of Cape Neddick, who led the budget-writing Appropriations Committee for the past two years, will be assistant minority leader. Welfare reform, an elusive goal for minority Republicans last year, was the first policy priority on Thibodeau’s list. He recounted a story from his hometown in Winterport, where he saw a woman allegedly using welfare money at the checkout of a local store. Thibodeau also echoed LePage’s call for a reduction in energy prices, and pushed fiscal responsibility in the upcoming budget-writing process. The Legislature will reconvene to begin official business on Wednesday, Jan. 7. BDN State House Bureau Chief Christopher Cousins contributed to this report.